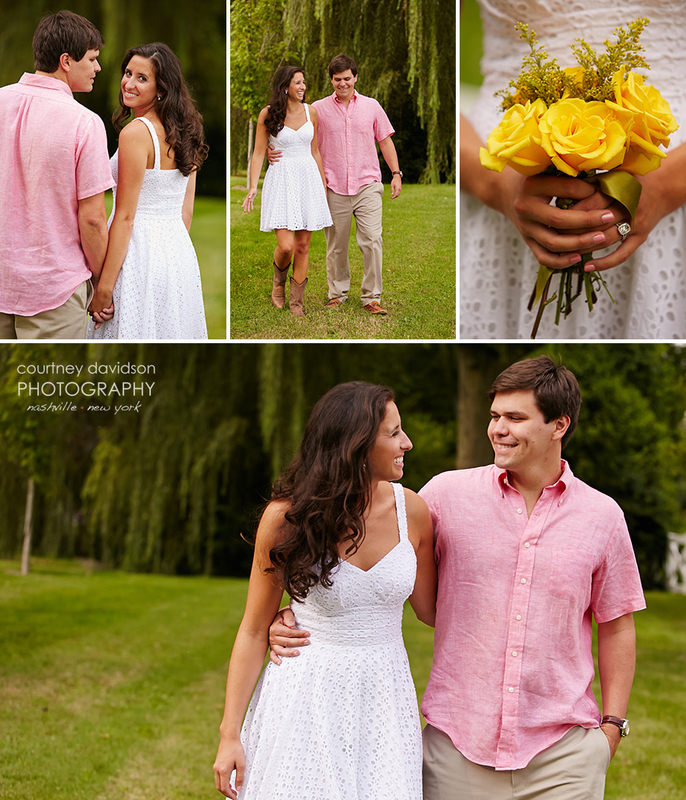 I had so much fun wandering around Belle Meade with this lovely couple. On the way to our second location, I got to hear their history together. I can’t remember what grade they said they were in when they first “dated” (Michael used air quotes several times during the story), but I especially enjoyed the part where Michael interjected with a smile that first time they dated, Molly dumped him. It was amazing to hear their story and their long history together. I can’t wait for their wedding next year! As we were leaving I saw this hill with dewey grass and the sun setting behind it. 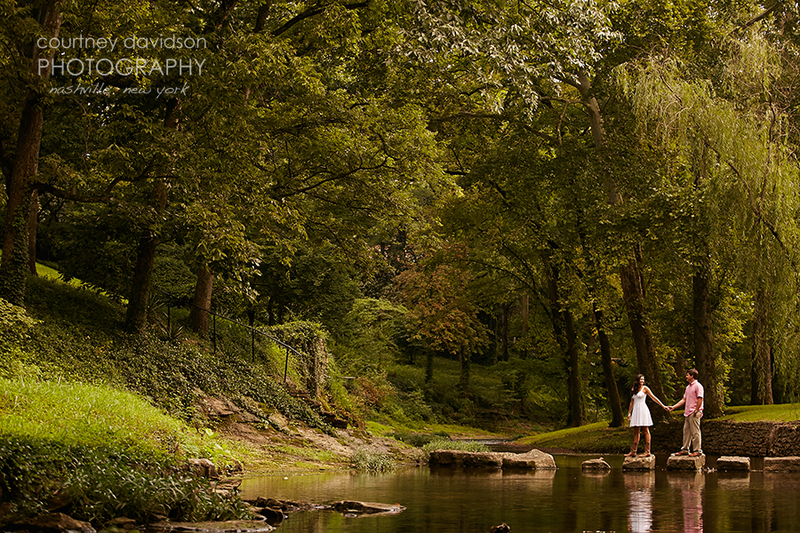 We HAD to stop and photograph there, and it was the perfect ending to an EPIC engagement session!